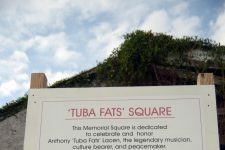 The green space on the corner of St. Philip and North Robertson streets was dubbed Tuba Fats Square after a notorious incident here one evening in 2007. 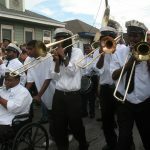 Brass-band musicians led dozens of mourners past this spot to pay musical tribute to Kerwin James, a well-loved tuba player who had recently passed away. 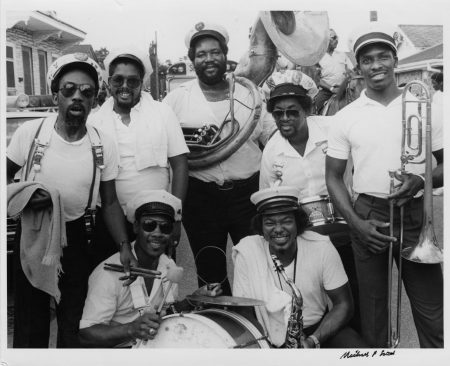 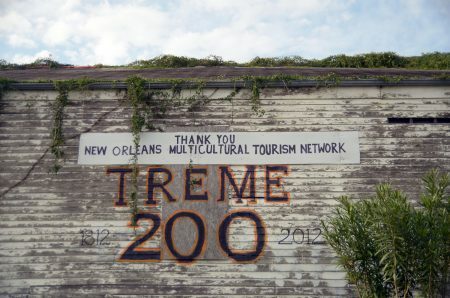 Though memorials of this type had been the norm in Treme for generations, the New Orleans Police Department responded to a noise complaint about the band by rushing more than 20 squad cars to the scene and leading away two musicians, Derrick Tabb and Glen David Andrews, in handcuffs. 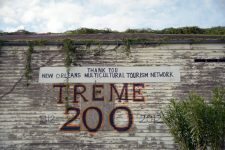 Though they were later released, the event was seen widely as an overreaction by the authorities and an affront to the city’s cultural traditions. 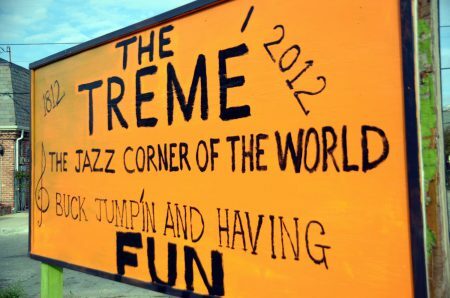 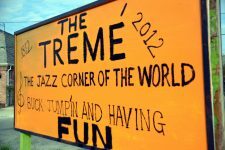 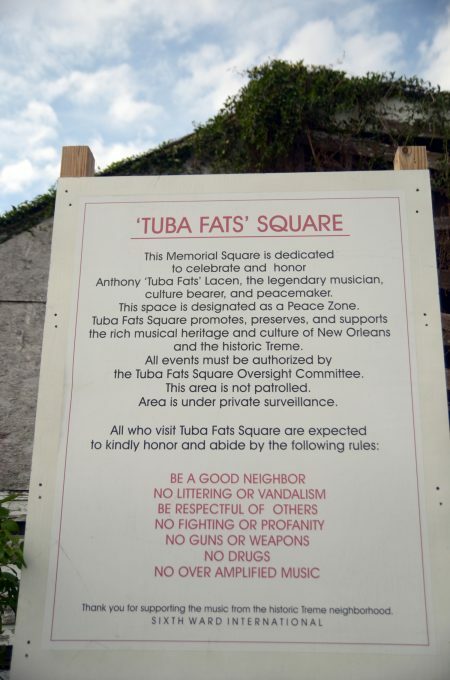 The owner of this lot, in partnership with several members of Treme’s music community, responded by designating it Tuba Fats Square in honor of the late tuba player and bandleader Anthony “Tuba Fats” Lacen. 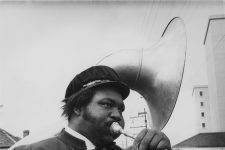 Besides being an admired musician, Lacen was known for taking young traditional jazz and brass band musicians under his wing. 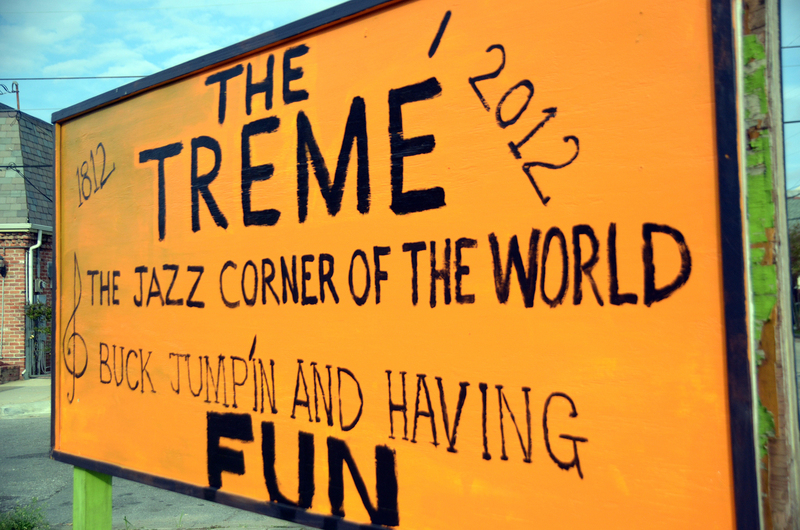 To perpetuate this kind of cultural transmission, this space was set aside for musicians to interact with the community. 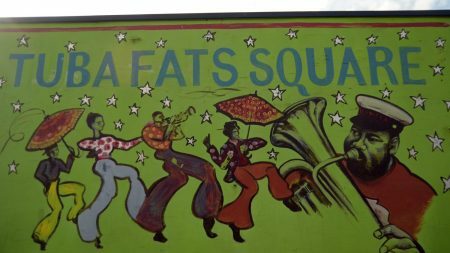 Tuba Fats Square is well positioned to achieve its goal: This corner is in the heart of Treme, a neighborhood which has nurtured generations of New Orleans artists (Lacen himself lived down the street for a while). 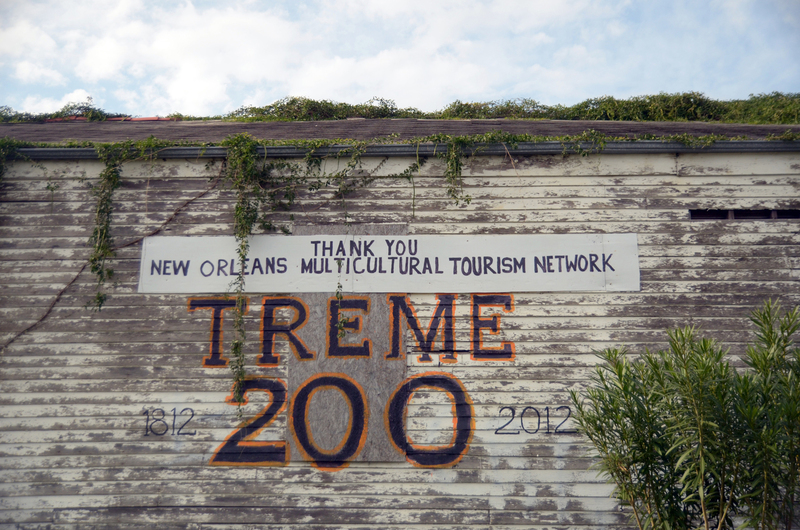 It is a short walk from Congo Square, the historic incubator of New Orleans music, and in the middle of a constellation of cultural landmarks including the Candlelight Lounge, the Tambourine and Fan organization, and Charbonnet Funeral Home. 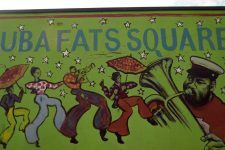 Since 2009, Tuba Fats Square has hosted an annual Tuba Fats Tuesday Festival on the Tuesday following the last day of Jazz Fest. 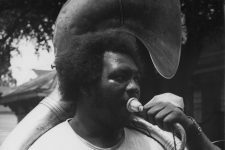 Members of Sudan Social Aid & Pleasure club lead scores of musicians in the funeral procession for Anthony "Tuba Fats" Lacen in 2004. 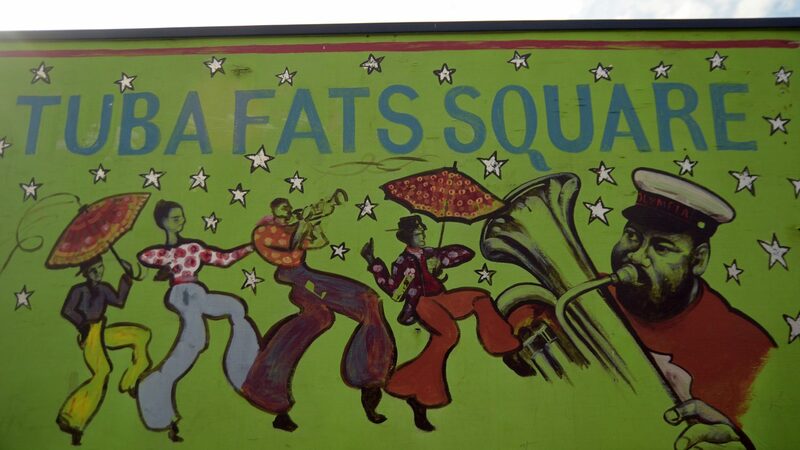 Tuba Fats Square in 2016. Photograph by Michael P. Smith ©The Historic New Orleans Collection, 2007.0103.4.393. 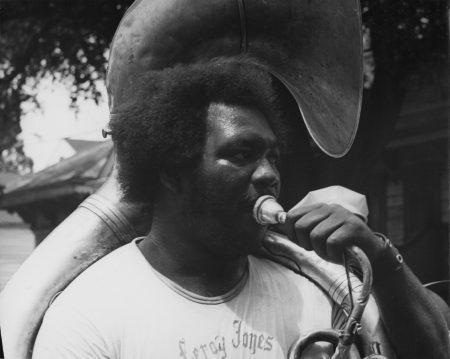 Anthony "Tuba Fats" Lacen circa 1975. 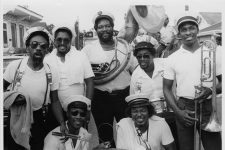 His t-shirt, from Leroy Jones' Hurricane Brass Band, marked a break with the traditional brass band uniform of a white dress shirt and black plants. 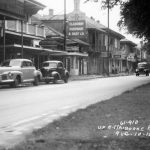 The Jules Cahn Collection at The Historic New Orleans Collection, 2000.78.1.100. 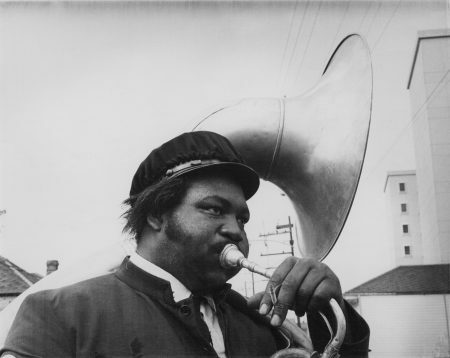 Photograph by Jules Cahn.